Hello there!! My name is Lesly.I am 18 years old and currently a sophmore in University. 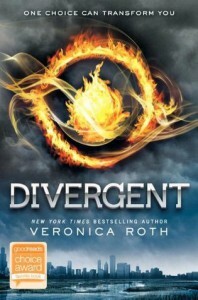 I know a lot of people compare this trilogy to The Hunger Games but really its only because its in the same genre because this book deserves to be enjoyed as the individual awesomeness it is.I absolutely loved this book from beginning to end.It kept me wanting more and more.I cant wait to read the second one in the trilogy - Insurgent.Would definitely recommend to anyone. Don't let the size fool you its a pretty quick and intense read if you enjoy YA Dystopian.